I’d love to be included in the Works by Women information Ludivica. As you are aware, Airmid Theatre is the ONLY theatre whose singular mission is to recover, collect and produce classic plays by women playwrights. It would be fabulous for us to see a statement like “make a donation to the Airmid Theatre Company” with a link similar to the one you have for women’s project. Why just the NY bias? How about expanding at least to the East coast or include New England? Ann, No regional bias here. Our goal is to grow Works by Women outside of NYC. It was created by a group of volunteers (myself included) who live and work in the Big Apple. We hope that our mission will catch fire across the US and internationally. Of course, send stories, ideas and information about work outside NYC. We’d be happy to profile it on the blog! FYI, the groups that were mentioned today produce work by women who live across the nation and world. In fact, the Estrogenius Festival has helped to send young girls to school in Africa and done many cultural exchanges. 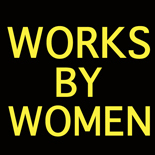 And, our last link on the post highlights groups from outside NYC: http://www.womenarts.org/fund/WomensTheatres.htm. Check it out. Hello from Las Vegas! I am the Artistic Director of The Asylum Theatre, a company founded by Maggie Winn-Jones over 10 years ago that is dedicated to play development. This spring we are offering a staged reading of a new play “The Sungazers” by Erica Griffin, and a production of “Cherry, Cherry, Lemon” by Keri Healy. We fly playwrights in from all over the country to participate in our programming. I am happy to have found this group!